IF YOU had to choose a single car you'd have the rest of your life, money no object, what would you go for? You may be thinking Ferrari or Lamborghini, but trust me, you'd get sick of the harsh ride, rubbish practicality and permanent fear of damaging it once the fun wore off. Maybe you thought Rolls-Royce Phantom Extended Wheel Base instead? 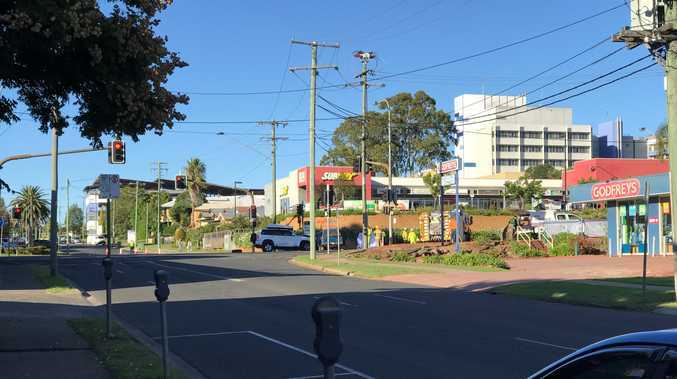 You'll certainly enjoy lying back in your leather-lined mobile palace, but I pity you trying to manoeuvre it anywhere, let alone actually park the thing. Let me save you some brain space. You actually want one of these as your car for life: a BMW 540i. Why? If it were any more of an all-rounder we'd have to call it the BMW Orb. With 250kW and 450Nm it has the power and performance (0-100kmh in 5.1 seconds); it's dripping in luxury as standard, has excellent safety, is dynamically superb and has that appreciated sense of Germanic over-engineering throughout. It also doesn't look at all shabby in design, and has numerous toys to show off, especially if you dig a bit deeper into the options list. Okay, so you have to pay for it. The 540i out of the box costs $136,900 before on-roads, and my test car had been treated to icing, sprinkles and a cherry on top with its included options upping that figure to $167,500 before charges. 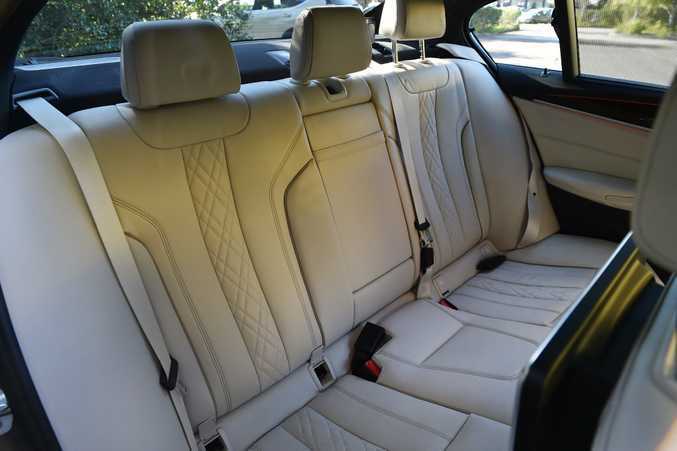 When you consider you can get the fruit-filled entry level BMW 5 Series (the 520d) for $93,900 the 540i does look expensive, but I've been in prestige vehicles costing well over $200k that haven't given me the sense of quality and luxury this 540i did. 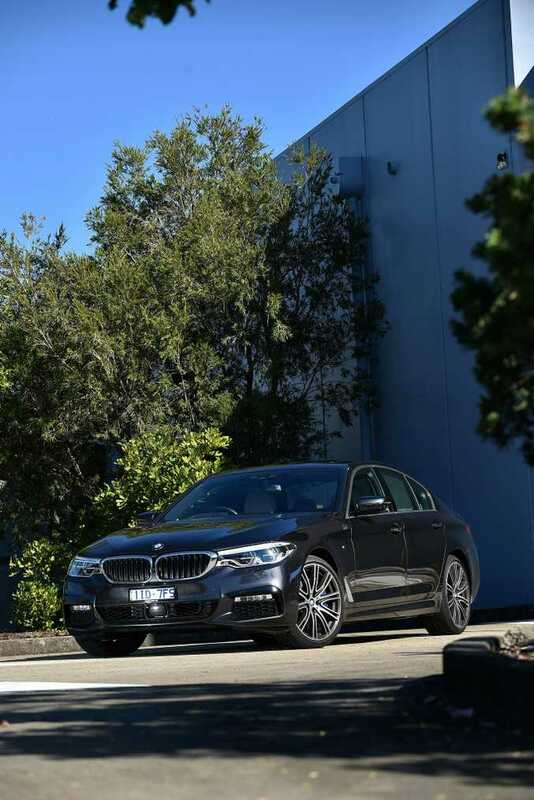 If you're fortunate enough to be shopping at these lofty heights, the range-topping 5 Series would impress even the fussiest of CEOs. 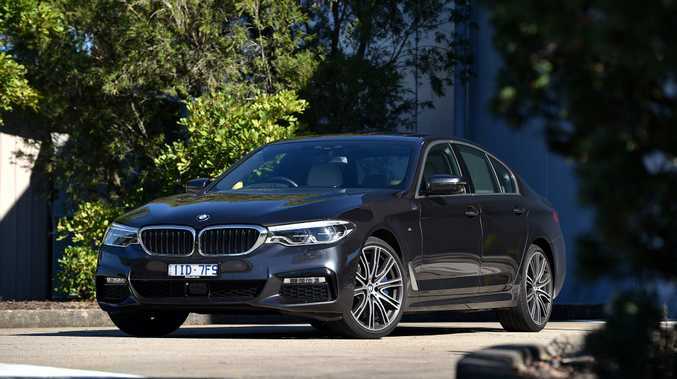 BMW's new 5 Series range arrived in March crammed with innovations to keep up, or exceed, its pesky prestige German rivals. 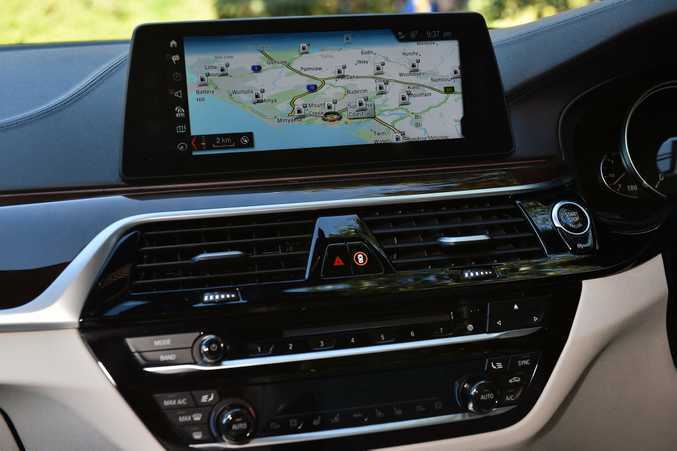 Buyers still want those fabled 5 Series driving dynamics of course, but allied with the latest driver assistance gear, technology and connectivity. And the 540i is the flagship. 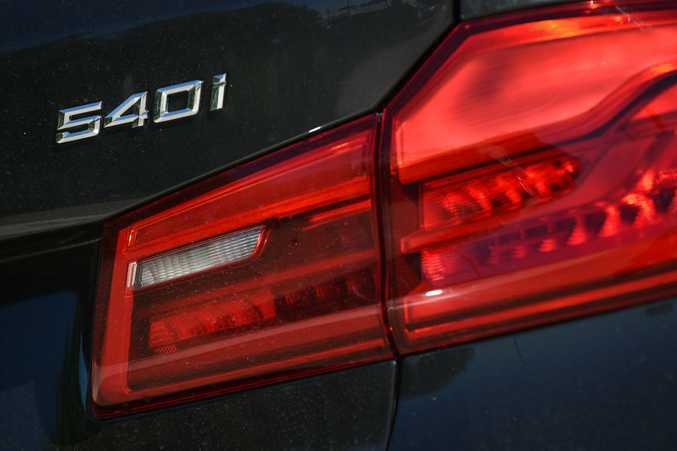 This model replaced the old 535i, but its price is a mighty $19,000 more than before. The customer still wins though, BMW says, as there's an apparent $34k worth of extra spec over the 535i. The inclusions list could fill this page. In a nutshell the buyer gets a Nappa leather cabin, ventilated electric seats, large head-up display, 10.25-inch touchscreen, a high-res instrument display, full active safety suite, panorama view park assist, electric glass sunroof, advanced navigation, surround sound system, 11-colour ambient lighting and BMW's superb ConnectedDrive to access your smartphone apps and BMW Online. Plenty enough to make you feel special. I don't know about you though, but if I'm shopping in this price range I'd be inclined to show off. So pick a few very cool options and you can feel like a king. 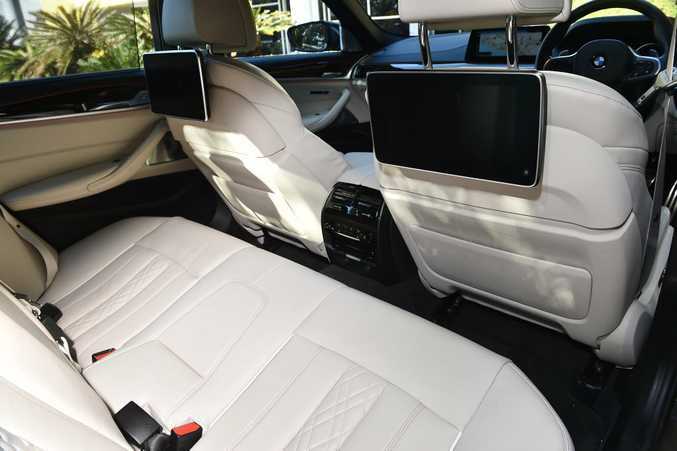 Our car had quad-zone air con ($900), a night vision camera with person recognition ($3700), a Bowers & Wilkins surround sound system ($6700), heated steering wheel ($500) and heating for all seats ($700). Our kids are forever ruined having now experienced giant rear screens with DVD player for the rear seats, which are part of an $8000 Indulgence Package also bringing massage chairs up front where you can have anything from your pelvis to your full body tended to by your in-built seat masseuse. You rarely get this spoiled in a limo. With the uber-cool ambient lighting setting the mood, you also have a choice of eight cabin scents which are subtle rather than overpowering. Leather lines practically every surface, while controls are intuitive (but take a lot of practice due to the sheer amount of info you can navigate), and controls in this car were ceramic surround ($1000) for an even better touch. Not that you need to touch. With Gesture Control part of the Innovations Pack ($1600) I could answer calls or turn up the music volume with the wave of a hand. Real show-off stuff. Before you start thinking I'm on BMW's payroll, this 540i is not perfect. Chief grumble is BMW's claim of 6.7L/100km fuel economy. I may have often used the turbocharged 3.0-litre's full range, but I returned an average of 9.8L/100km even after lots of highway driving. I also found the car's lane keep assist could be fooled by shadows on the road, and on occasion pulled the car into line aggressively. Final point? The engine's a gem but so cosseting is the cabin that you can barely hear it when stomping on the fast pedal. The rest is overwhelmingly positive. The 540i is fast enough without being brutal, and there really is nothing like the smoothness of a BMW straight-six, even with turbos attached. 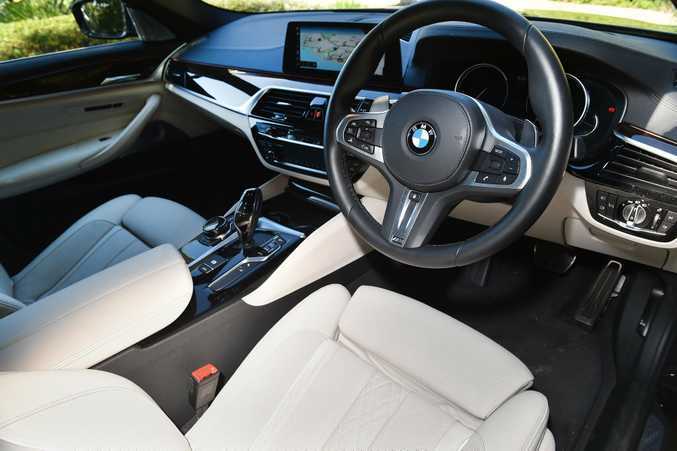 The driver aids are at their best on highway journeys, and with active cruise control and the lane keep assist performing, I was able to just rest my fingers on the heated steering wheel and it practically drove itself. The future is here. Smart Dynamic Damper Control with Adaptive Drive is all very clever suspension-altering tech, meaning cornering sure-footedness is frighteningly good for such a big car. I can't call it truly fun to drive as the super clever 5 Series seems to mop up any road imperfection or driver error, but sling it in Sport mode and it has a tad more smile-inducing edge. The 5 Series is still a polished rear-drive tool, but for true engagement, BMW offers plenty of other machines to properly scratch those itches. When my wife told me: "This is the car I'd be happy to die in," I'm sure she didn't mean in a horrendous accident (though chances are the 5 Series safety kit would prevent this anyway). She meant it's the sort of car you could live with for the rest of your days. And as I settled back in my heated massage heaven while punting along a favourite back road, I couldn't disagree. PRICE $136,900 before on-roads ($167,473 as tested before on roads). CAPPED SERVICING Service Inclusive Basic package for 5 years/80,000km is $1640. 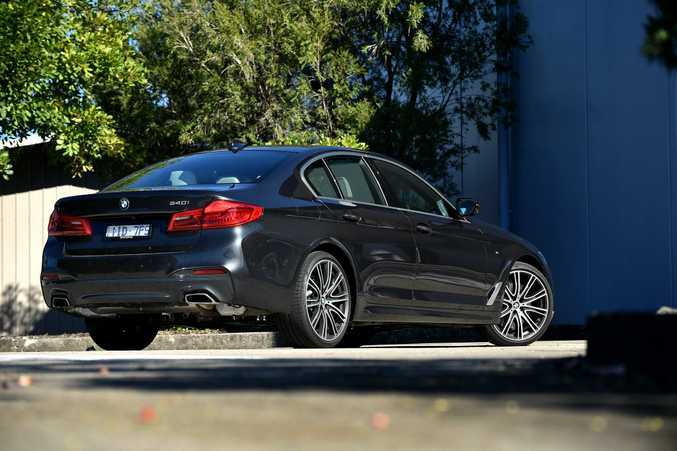 The good: What a 5 Series should be: luxurious, innovative, beautiful, composed and wonderfully engineered; silky straight-six engine; truly special luxury if you spend on the options. 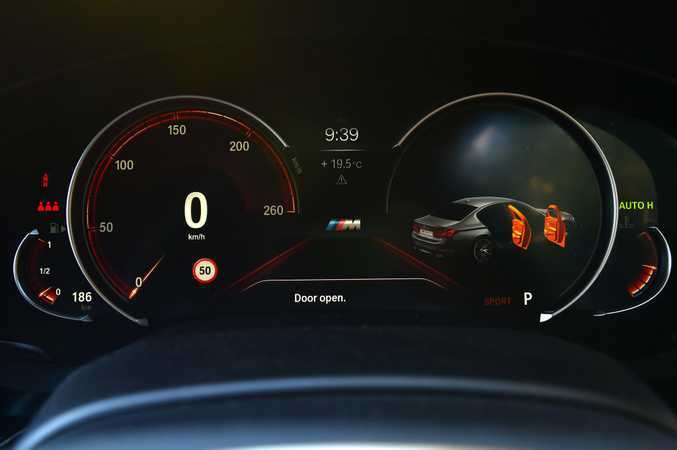 The not so good: Fuel economy figure from BMW is optimistic, lane keep assist struggles in certain conditions, it's a peach of an engine so let's hear it properly.